Often worn by medieval infantry, the kettle hat has a wide, downturned brim to protect soldiers from attacks from above. This Steel Kettle Hat with Face Armour takes protection to the next level with its attached steel face guard. The face guard features a wide front opening, allowing for greater ventilation, sight, and hearing than other face-covering helmet types. A riveted strip reinforces the round skullcap. 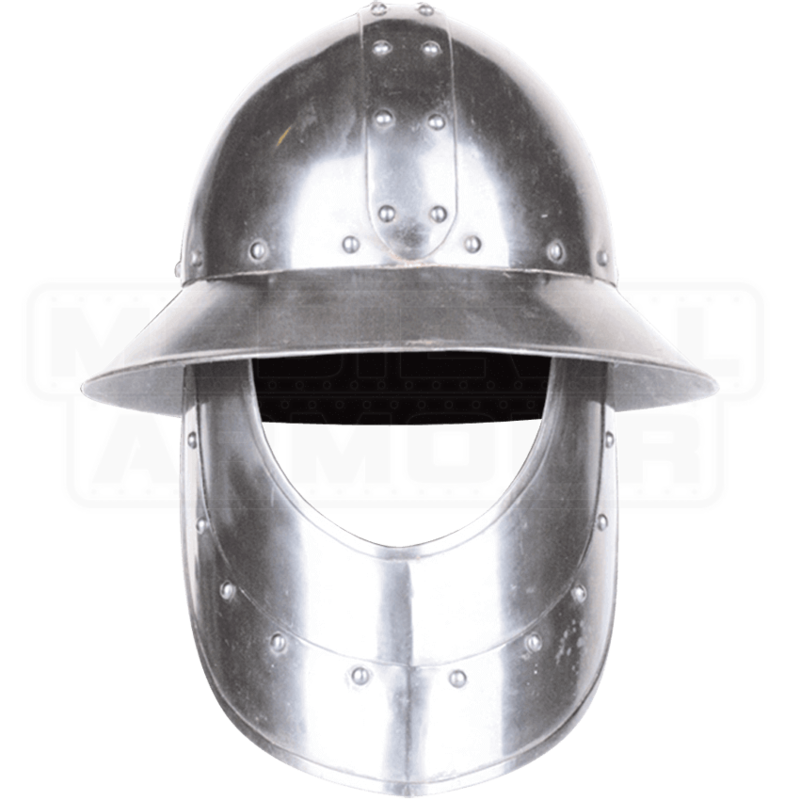 Whether you are seeking the right helmet for your LARP character or wanting to add more detail to your medieval foot soldier costume, the Steel Kettle Hat with Face Armour is a great choice. 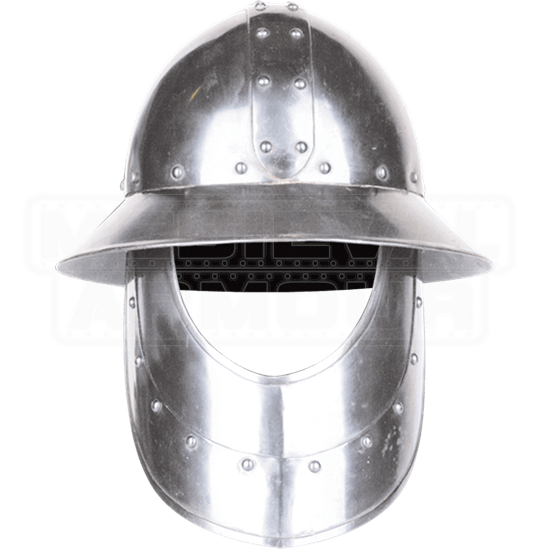 This medieval helmet is best worn over a padded arming cap for comfort and safety.